Enclave at Cityview offers residents a variety of amenities designed to maximize convenience and improve quality of life. Simplify your day and your schedule with our on-site laundry facility and online rental payment, providing you the option to build credit through rent payments. Enhance your daily experience at either of two swimming pools where you can relax, socialize, and work on your tan. 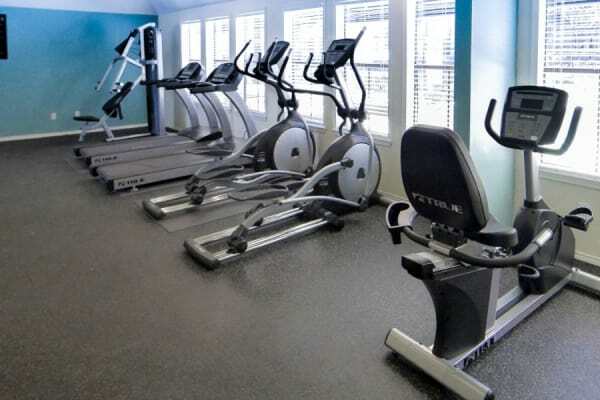 Work out in the comfort of your own apartment community fitness center. Rejuvenate body and spirit after a long day or week with a soak in the hot tub. With a large duck pond on property, you’ll be able to cast your line out and go fishing whenever your heart desires. Enclave at Cityview helps improve your quality of life with features and amenities designed for convenience and comfort. In addition to fantastic community amenities, Enclave at Cityview offers in-home features you would have chosen yourself. Upgraded kitchens include granite countertops, stainless-steel appliances, and chocolate mocha cabinets with new doors. 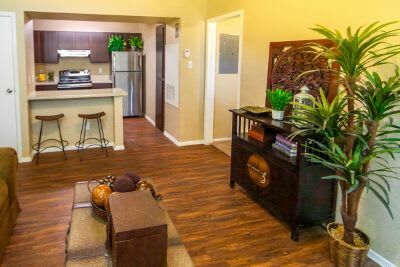 All of our homes, except our studio home, include washer/dryer connections, so you can bring your own appliances and do laundry from the comfort of your own home. Hardwood-style flooring adds a touch of elegance to your home while providing an easy to clean surface. Bronze fixtures and a rain-style shower head add contemporary elegance to our Cityview Fort Worth apartments. With incredible interiors and community amenities designed for good living, you’ll be eager to move into Enclave at Cityview. Contact us to schedule your personal tour.